Our 600w Terma MOA thermostatic electric towel rail provides sophisticated control over your bathroom heating with its integrated Bluetooth functionality. This heater can warm areas up to 6m² and allows ample towel storage - a great choice for main bathrooms. The Terma Leo MOA Thermostatic Electric Towel Rail provides intuitive control over your bathroom heating with its integrated thermostat and Bluetooth functionality. Finished in attractive chrome, this versatile bathroom heating solution will complement a variety of interiors. 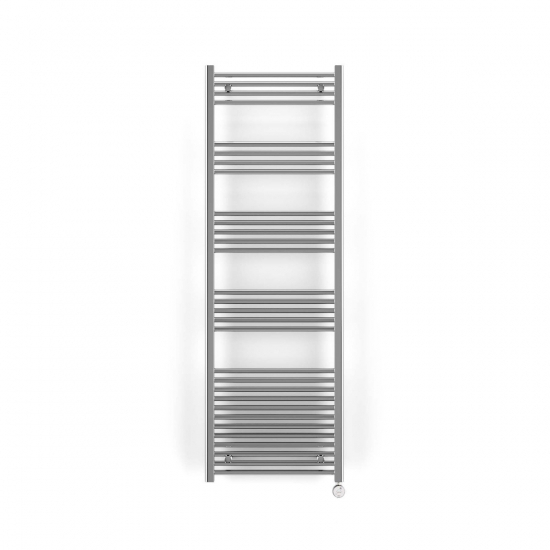 This is the largest towel rail in the Terma MOA range and is able to heat areas up to 6m².